THIS STUNNING PROPERTY THAT'S ALWAYS BEEN HEAVILY ADMIRED, IS REALLY FOR SALE ON THE TURTLE FLAMBEAU FLOWAGE! THE EXPANSIVE 7-MILE VIEW ACROSS THE WATER AND OF SEVERAL . 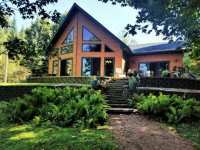 . .
#421N) AMAZING YEAR ROUND PROPERTY ON THE NORTH FORK OF THE FLAMBEAU RIVER LOADED WITH NORTHWOODS CHARM! 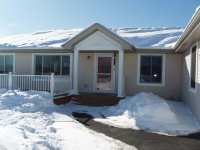 THIS FABULOUS 3 BEDROOM, 2 BATH HOME FEATURES; RECESSED . . .
SOUTHERN EXPOSURE W/MILLION $$ VIEW OF RIVER. BOW HUNT OUT YOUR BACK DOOR, FISH OUT YOUR FRONT DOOR. 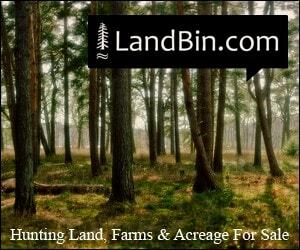 FRUIT TREES &AMP; FOOD PLOT. MULE/FOUR WHEELING PATHS TO LOW BANK . . .
SOUTHERN EXPOSURE W/MILLION $$ VIEW OF RIVER. 328 FT WATER FRONTAGE. BOW HUNT OUT YOUR BACK DOOR, . . . 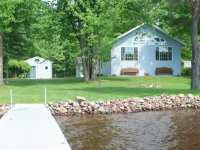 TURTLE FLAMBEAU FLOWAGE - ENJOY BEAUTIFUL SUNSETS ON THE OPEN SUN DECK OR THE ENCLOSED SUN ROOMS; . . .
FABULOUS VALUE! ON LADYSMITH FLOWAGE. EASY SLOPE TO THE WATER. 3 BEDROOMS ON ONE LEVEL. IMMACULATE . . .
FABULOUS VALUE! ON LADYSMITH FLOWAGE. EASY SLOPE TO THE WATER. 3 BEDROOMS ON ONE LEVEL. IMMACULATE HOME. SPACIOUS DECK OVERLOOKING THE WATER. TASTEFULLY LANDSCAPED. PER . . . HERE IS YOUR LODGE ON THE VAST CANADIAN-LIKE WATERS OF THE TURTLE FLAMBEAU FLOWAGE. 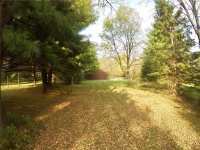 ON A WELL WOODED VERY QUIET 5.65 ACRE LOT WITH A SOUTHERN VIEW OF THESE PRISTINE . . . HUGE PRICE DROP!!!! 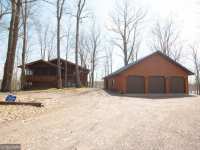 THIS 6 BR, 3 BA LOG SIDED FULLY FURNISHED HOME ON 19,000 ACRE TURTLE FLAMBEAU FLOWAGE HAS ALL THE EXTRAS AND HAS RECENTLY BEEN REPAINTED INSIDE, WITH . . .
MORE PROPERTY, MORE FRONTAGE, LOWER PRICE! PEACE AND QUIET ON THE FLAMBEAU! 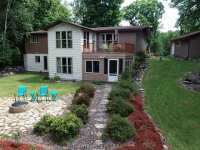 THIS TRI-LEVEL, 5 BEDROOM, 2 1/2 BATH HOME IS LOCATED ON A 8.09 +/- ACRE PARCEL WITH 1400'+- . . . THE PERFECT LAKEFRONT PROPERTY! 4 BEDROOMS PLUS GUEST COTTAGE ON GORGEOUS, LEVEL FRONTAGE WITH SANDY BOTTOM. THIS HOME HAS BEEN METICULOUSLY REMODELED AND MAINTAINED. . . .
#473K) 3 BEDROOM, 2 BATH COUNTRY HOME ON OVER 10 ACRES ON THE NORTH FORK OF THE FLAMBEAU RIVER. 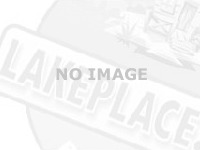 TILE, HEATED FLOORING, ON-DEMAND HOT WATER, HICKORY CABINETS, ANDERSON . . . 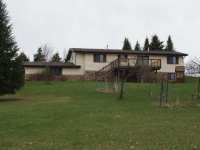 THIS BEAUTIFUL YEAR ROUND 3 BEDROOM, 2 BATHROOM RAISED RANCH HOME SITS ON A LEVELED, LANDSCAPED, 100 FEET OF THE FLAMBEAU FLOWAGE. THE ACCESS ROAD IS A PRIVATE ROAD FOR . . . ATTRACTIVE NORTHWOOD'S DESIGN HOME OVERLOOKING THE BEAUTIFUL TURTLE FLAMBEAU FLOWAGE & INCLUDES A 1-CAR GARAGE. INSIDE YOU'LL FIND 20 VARIETIES OF WOOD FROM BLACK WALNUT . 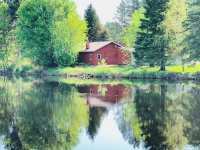 . .
(#416R) JUST A FEW MILES OUT OF TOWN, TUCKED IN ON THE NORTH FORK OF THE FLAMBEAU RIVER, IS THIS BEAUTIFUL COTTAGE BUILT ON A SLAB FOUNDATION. 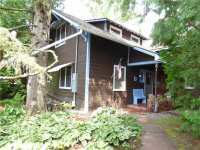 THIS COTTAGE FEATURES 2 . . .
GREAT SITE FOR A FOREVER HOME AND READY FOR BUILDING USED AS FAMILY RETREAT. 2 LOTS BEING SOLD TOGETHER. EACH LOT HAS BEAUTIFUL POLE BUILDING WITH ELECTRICAL SERVICE TO . . .
LOOK NOW! YOU WILL FIND THIS GORGEOUS 3-BEDROOM, 2-BATH RANCH STYLE HOME (ONE LEVEL) PERCHED ELOQUENTLY ON THE HILLSIDE WITH A "SUNRISE VIEW" OVERLOOKING THE FLAMBEAU . . . EXCELLENT VALUE! OVER 2000 FT OF FRONTAGE ON FLAMBEAU RIVER (JUST NORTH OF FLATER'S RESORT). ACCESS . . . EXCELLENT VALUE! OVER 2000 FT OF FRONTAGE ON FLAMBEAU RIVER (JUST NORTH OF FLATER'S RESORT). ACCESS FROM CO RD. BOAT, KAYAK OR CANOE THE RIVER TO LAKE HOLCOMBE. . . . THIS FLAMBEAU RIVER FABBY IS MOVE IN READY, HAS A LOW RIVER BANK FOR ACCESS, MANY IMPROVEMENTS &AMP; A NEWER STEEL SHED W/LEAN-TO &AMP; CEMENT FLR. FEATURES INCLUDE: . . . 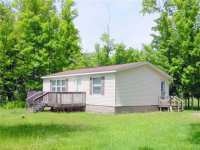 THIS FLAMBEAU RIVER FABBY IS MOVE IN READY, HAS A LOW RIVER BANK FOR ACCESS, MANY IMPROVEMENTS & A NEWER STEEL SHED W/LEAN-TO & CEMENT FLR. FEATURES INCLUDE: 4-SEASON RM . 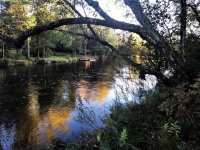 . .
(245)SUN RISES OVER THE NORTH FORK OF THE FLAMBEAU RIVER! LOCATED JUST NORTH OF PARK FALLS ON N. RIVER ROAD. THE IS A 3 BEDROOM, 2 BATH RANCH HOME SITUATED O 1.27+/- . . .
ARCHITECTURALLY UNIQUE HOME, LOADED WITH CHARACTER. FROM THE VAULTED CEILINGS WITH AN EXPOSED BEAM CONCEPT, THAT IS ALSO CONVEYED ON THE LOWER LEVEL, TO THE SPACIOUS . 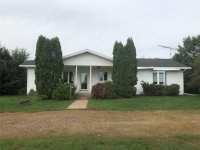 . .
(259) THIS BEAUTIFUL HOME WITH 300+/- FEET FRONTAGE ALONG THE FLAMBEAU RIVER PIXLEY FLOWAGE IS SITUATED ON A SECLUDED HILLSIDE ON A 4.85+/- ACRE LOT WITH TOWERING WHITE . . . HISTORIC HOME IN CITY OF LADYSMITH ON FLAMBEAU RIVER. 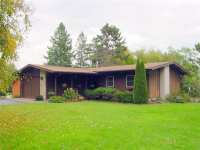 4 BEDROOMS WITH SLEEPING PORCH, 3 BATHS, DRY TROUT PONDS, FISH HATCHERY BUILDING, GUEST LOG CABIN WITH BUNKS AND . . . ABSOLUTELY CHARMING NORTHWOOD'S CABIN ON THE TURTLE FLAMBEAU FLOWAGE! EXTENSIVE RENOVATION BOASTS A CATHEDRAL WOOD CEILING DECORATED WITH WOODEN BEAMS, CUSTOM WINDOW . . . 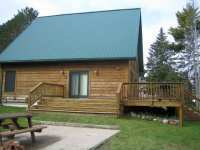 TURTLE FLAMBEAU FLOWAGE - CHARMING 2 BEDROOM RENOVATED LOG CABIN IS PART OF THE FORT FLAMBEAU . . . APPROXIMATELY 11.91 ACRES LOCATED AT THE END OF A PIXLEY SHORES W RD WITH 1366 FEET OF RIVER FRONTAGE PER SURVEY. CLEARED BUILDING SITE AND DRIVEWAY WITH ELECTRICITY RUN . 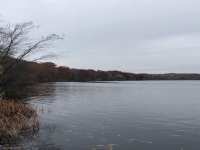 . .
2.8 ACRES WITH 236 FEET OF FRONTAGE ON LAKE FLAMBEAU! THIS PROPERTY HAS A BEAUTIFUL SOUTHERN EXPOSURE PERFECT FOR A WALK-OUT APPLICATION. THE PROPERTY IS WOODED WITH . . . 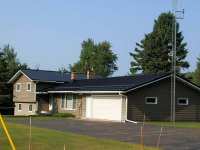 SPACIOUS THREE BEDROOM, TWO BATH COUNTRY HOME ON SOUTH SHORE OF THE BIG PART OF LAKE FLAMBEAU. WRAP AROUND DECK ON LAKE SIDE. LOWER LEVEL WITH WALKOUT READY FOR YOU TO . . . LOCATION LOCATION, WHAT A LOCATION! 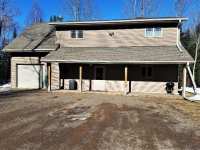 FOR THIS 3 BEDROOM 2 BATH COUNTRY HOME ON THE LADYSMITH FLOWAGE. 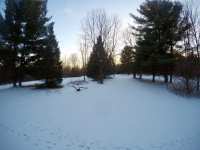 BEAUTIFUL LOT, WITH OVER 240 FEET OF GENTLY SLOPING FRONTAGE. THIS . . . WELCOME TO THE LAKE! HERE'S AN AFFORDABLE WATERFRONT HOME ON A CLEARED, LEVEL LOT WITH 155 FEET OF FRONTAGE AND SOUTHERN EXPOSURE. THIS 2003 HOME FEATURES AN OPEN FLOOR . 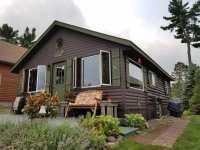 . .
MAKE SURE YOU CHECK OUT THIS WELL MAINTAINED CHARMING CHALET STYLE LAKESIDE CABIN . IT'S READY FOR SUMMER TIME FUN. THE CABIN FEATURES A NEW ROOF, GAS LOG FIREPLACE, . . .
#434A) WOW! WHAT AN AMAZING RIVER FRONT LOT! THIS COZY 2 BEDROOM, 1 BATH COTTAGE WOULD MAKE AN INCREDIBLY LOVELY YEAR ROUND HOME OR A GREAT GETAWAY DESTINATION. THE . . . VERY HARD TO FIND WATERFRONT PROPERTY WITH 40 ACRES. 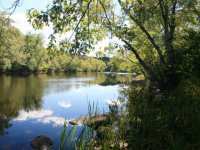 ENJOY 600 FEET OF SAND AND ROCK SHORELINE ON THE SOUTH FORK OF THE FLAMBEAU RIVER. PERFECT LEVEL ELEVATION TO THE . . . 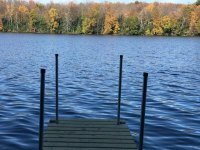 COURTESY LISTING: COMPASS LAND CONSULTANTS, INC.
KING'S COZY RESORT CONDOMINIUMS - TURTLE FLAMBEAU FLOWAGE - 2 BEDROOM YEAR ROUND HOME/CONDO HAVING . . .
RIVER FRONT FOR AN AMAZING PRICE!! 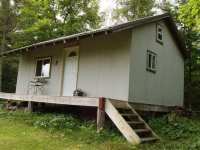 ADORABLE 2 BEDROOM, 1 BATH HOME ON THE SHORE OF THE SOUTH FORK OF THE FLAMBEAU RIVER. 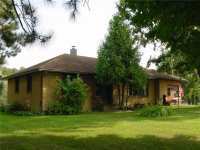 THE PROPERTY CONSISTS OF 1 ACRE, WITH 550 FEET . 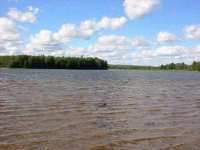 . .
LARGE, PRIVATE, BEAUTIFULLY WOODED WATERFRONT LOT ON THE FLAMBEAU FLOWAGE! GET YOUR HOUSE PLANS TOGETHER AND LINE UP THE CONTRACTORS. THIS LOT HAS SEVERAL POSSIBLE . . . VERY AFFORDABLE WATERFRONT HOME!! THIS 2 BEDROOM, 1 BATH HOME ON LAKE FLAMBEAU IS SITUATED ON A LEVEL, LOW ELEVATION LOT AND IS MOVE IN READY. NO STEEP HILL TO FIGHT . . . APPROXIMATELY 6.59 ACRES LOCATED AT THE END OF A PIXLEY SHORES W RD WITH APPROX 1008 FEET OF FRONTAGE PER SURVEY. CLEARED BUILDING SITE AND DRIVEWAY WITH ELECTRICITY RUN . 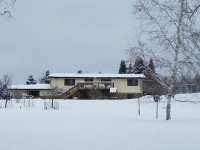 . .
GREAT HOME OR CABIN WITH WATER FRONTAGE. 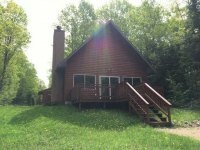 THIS 4 BR, 2 BA HOME IS CONVENIENTLY LOCATED ON THE JUMP RIVER WITH APPROXIMATELY 400 FEET OF FRONTAGE FOR CANOEING, FISHING, . 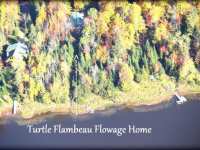 . .
KING'S COZY RESORT CONDOMINIUMS - TURTLE FLAMBEAU FLOWAGE - JUST BRING YOUR CLOTHES, SWIMMING AND . 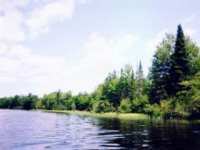 . .
KING'S COZY RESORT CONDOMINIUMS - TURTLE FLAMBEAU FLOWAGE - NICE LEVEL 50 FOOT X 30 FOOT PARCEL OF . 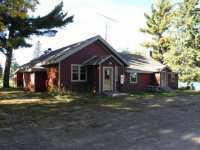 . .
KING'S COZY RESORT CONDOMINIUMS - TURTLE FLAMBEAU FLOWAGE CONDO- COZY 2 BEDROOM CABIN HAVING OPEN . 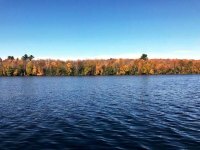 . .
KING'S COZY RESORT CONDOMINIUMS - TURTLE FLAMBEAU FLOWAGE - PHENOMENAL VIEW & BEST LOCATION! 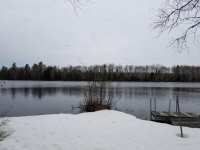 COZY 2 . . .
KING'S COZY RESORT CONDOMINIUMS - TURTLE FLAMBEAU FLOWAGE CONDO - LOCATION AND THE BEST VIEW ON THE . . .
WOODS AND WATER!! 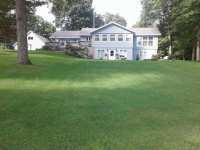 450+/- FEET FRONTAGE ON THE NORTHFORK OF THE FLAMBEAU RIVER. A WELL DESIRED 5+ ACRE PARCEL, SITUATED ON THE RIVER BETWEEN PIXLEY AND CROWLEY DAMS . . . APPROXIMATELY 5.32 ACRES LOCATED AT THE END OF A PIXLEY SHORES W RD WITH APPROX 358 FEET OF FRONTAGE PER SURVEY. CLEARED BUILDING SITE AND DRIVEWAY WITH ELECTRICITY RUN . 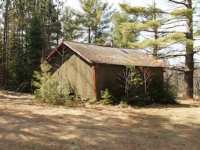 . .
TWO BEDROOM LOG SIDED CABIN ON THE FAMOUS TURTLE FLAMBEAU FLOWAGE WITH FANTASTIC VIEWS! THE CABIN FEATURES AN OPEN CONCEPT KITCHEN, DINING AND LIVING AREA ALONG WITH 2 . . . 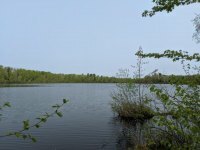 VERY HEAVILY WOODED 2+ ACRE PARCEL FEATURING 147' OF UNDEVELOPED FISHERMAN FRONTAGE ON THE TURTLE FLAMBEAU FLOWAGE. 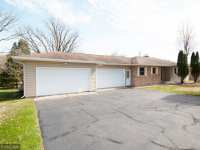 THIS PROPERTY OFFERS WESTERN EXPOSURE EXPANDING . . . 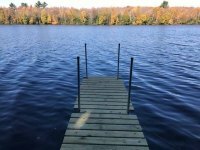 CAMPING LOT ON LAKE FLAMBEAU!!! .41 ACRES IS JUST NOT LARGE ENOUGH TO BUILD ON. ELECTRIC METER ON SITE, DRIVEWAY AND PAD, ACCESS TO FISHING SUMMER AND WINTER AND ALL THE . 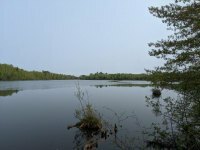 . .
3.25 ACRE WATERFRONT LOT ON THORNAPPLE FLOWAGE - FLAMBEAU RIVER. HEAVILY WOODED PARKLIKE LOT HAS . 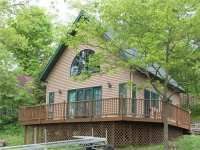 . .
OFFERING AN ELEVATED VIEW OF THE PICTURESQUE NORTHFORK OF THE FLAMBEAU RIVER IS THIS 16X24 TWO ROOM COTTAGE WITH A SMALL LOFT AREA THAT IS LOCATED OFF STATE HWY. 70 WEST . . .
(262) HOW CAN YOU BEAT THE SOUND OF FLOWING WATER? YOU CAN�T! 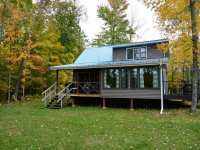 PICTURE YOURSELF HERE ON THE SHORES OF THE SOUTHFORK OF THE FLAMBEAU RIVER IN THIS TWO-BEDROOM CABIN. ALL . . .
(262) HOW CAN YOU BEAT THE SOUND OF FLOWING WATER? YOU CAN'T! 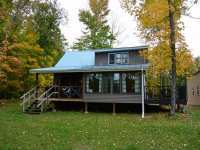 PICTURE YOURSELF HERE ON THE SHORES OF THE SOUTHFORK OF THE FLAMBEAU RIVER IN THIS TWO-BEDROOM CABIN. ALL . 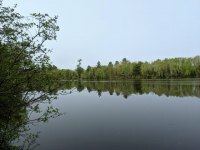 . .
A DRAMATIC 1.99 ACRE SITE WITH 354' OF SUNRISE FRONTAGE ON THE 431 ACRE PARK FALLS FLOWAGE WHICH IS A PART OF THE NORTH FORK OF FLAMBEAU WILDERNESS RIVER SYSTEM! THIS . 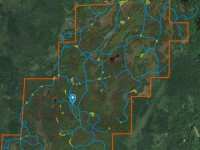 . .
(462) A WESTERN EXPOSURE WITH A PANORAMIC VIEW OF THE NORTHFORK OF THE FLAMBEAU RIVER AND THE SURROUNDING COUNTRYSIDE IS YOURS FROM THIS 1.35+/- ACRE PARCEL WITH 152+/- . 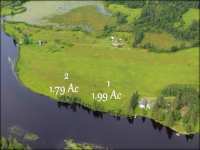 . .
PENINSULA ON THE FLAMBEAU -- CHECK OUT THIS BEAUTIFUL 3.33+/- ACRE WATERFRONT PARCEL ON THE FLAMBEAU RIVER JUST A TEN MINUTES' DRIVE OUTSIDE OF LADYSMITH PERFECT FOR . 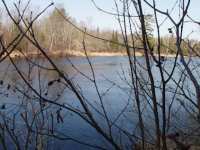 . .
A PICTURESQUE 1.79 ACRE LOT WITH 320' OF SOUTHEASTERN FRONTAGE ON THE 431 ACRE PARK FALLS FLOWAGE WHICH IS A PART OF THE NORTH FORK OF FLAMBEAU WILDERNESS RIVER SYSTEM! . . .
(217). FISHING ROCK SUPPLIED! 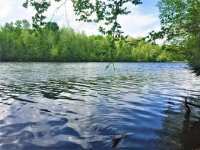 COME FISH OFF YOUR OWN ROCKY SHORE ON THE BANKS OF THE SOUTH FORK FLAMBEAU RIVER OR HUNT THE 1,000'S OF ACRES OF PRICE COUNTY FOREST LAND. . . .
(217) FISHING ROCK SUPPLIED! COME FISH OFF YOUR OWN ROCKY SHORE ON THE BANKS OF THE S. F. FLAMBEAU RIVER OR HUNT THE 1,000'S OF ACRES OF PRICE COUNTY FOREST LAND. THE . . .
(426) PEACE ON THE NORTH FORK OF THE FLAMBEAU RIVER! JUST OFF HWY. 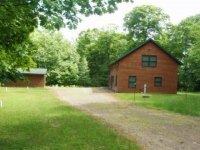 70 ON PIXLEY WILDERNESS WEST ROAD, 5.5 MILES W OF FIFIELD IS A NICELY WOODED 1.8+/- ACRE BUILDING . 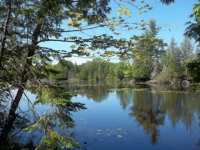 . .
426) PEACE ON THE NORTH FORK OF THE FLAMBEAU RIVER! JUST OFF HWY. 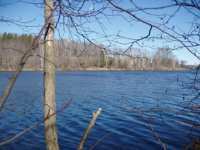 70 ON PIXLEY WILDERNESS WEST ROAD, 5.5 MILES W OF FIFIELD IS A NICELY WOODED 1.8+/- ACRE BUILDING SITE. . . .
(464) THIS 1.7+/- ACRE WATERFRONT PARCEL WITH 180+/- FF ON THE NORTHFORK OF THE FLAMBEAU RIVER OFFERS A FANTASTIC VIEW! 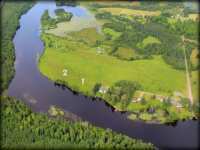 THE FLAMBEAU RIVER IS WIDE, NAVIGABLE AND . 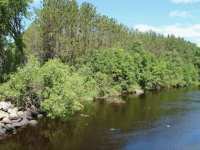 . .
(#186E) FRONTAGE ON THE SOUTH FORK OF THE FLAMBEAU RIVER AND 22 ACRES! WONDERFUL LOT WITH ELETRIC AND PHONE AT THE STREET. BEAUTIFUL VIEW OF THE RIVER. 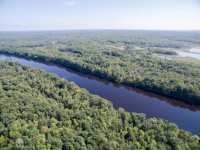 WOODS TO EXPLORE. . . .
(464) THIS 1.7+/- ACRE WATERFRONT PARCEL WITH 180+/- FEET FRONTAGE ON THE NORTHFORK OF THE FLAMBEAU RIVER OFFERS A FANTASTIC VIEW! 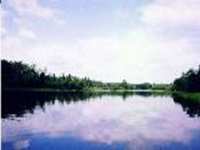 THE FLAMBEAU RIVER IS WIDE, NAVIGABLE . . .
(482) WOODS AND WATER! 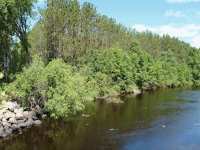 THIS 2.86+/- ACRE LOT HAS OVER 150 FEET OF FRONTAGE ON THE NORTHFORK OF THE FLAMBEAU RIVER LOCATED SOUTHWEST OF PARK FALLS OFF PIXLEY WILDERNESS . 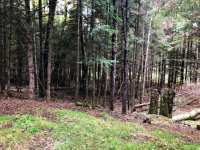 . .
(482) THIS 2.86+/- ACRE LOT HAS OVER 150' OF FRONTAGE ON THE NORTHFORK OF THE FLAMBEAU RIVER LOCATED SW OF PARK FALLS OFF PIXLEY WILDERNESS SHORES WEST RD. 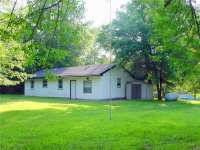 LOCATED ON A . . .
(478) CHECK OUT THE PANORAMIC VIEW FROM THIS HEAVILY WOODED 1.4+/- ACRE SITE WITH APPROX. 170+/- FEET FRONTAGE ON THE NORTHFORK OF THE FLAMBEAU RIVER. LOCATED APPROX. 2 . . .
WOODS AND WATER!! 150+/- FEET FRONTAGE ON THE NORTHFORK OF THE FLAMBEAU RIVER. 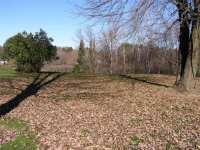 A WELL DESIRED 2 ACRE PARCEL, SITUATED ON THE RIVER BETWEEN PIXLEY AND CROWLEY DAMS . 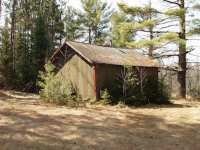 . .
(260/460) THIS ONE ROOM CABIN IS NESTLED ON A 4.8+/- ACRE PARCEL WITH 498+/-FEET FRONTAGE ON THE SOUTHFORK OF THE FLAMBEAU RIVER. ELEVATED SITE WITH ROLLING TERRAIN, . 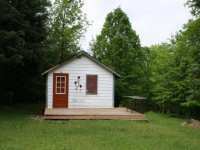 . .
(260) THIS ONE ROOM CABIN IS NESTLED ON A 4.8+/- ACRE PARCEL WITH 498+/-FEET FRONTAGE ON THE SOUTHFORK OF THE FLAMBEAU RIVER. ELEVATED SITE WITH ROLLING TERRAIN, MIXTURE . 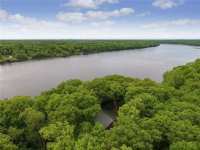 . .
(460) LOOKING FOR A LARGE RIVER LOT FOR THAT CABIN OR HOMESITE? THIS 4.84+/- ACRE PARCEL HAS 498+/- FEET OF FRONTAGE THAT OFFERS A VERY PICTURESQUE SITE HIGH ABOVE THE . . .
WOODS AND WATER!! 150+/- FEETL EVEL FRONTAGE ON THE NORTHFORK OF THE FLAMBEAU RIVER. A WELL DESIRED 2+ ACRE PARCEL, SITUATED ON THE RIVER BETWEEN PIXLEY AND CROWLEY DAMS . . .
(471) THE RIVER IS CALLING! 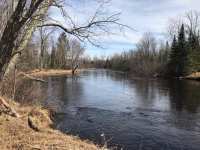 THIS 1.94+/- ACRE PARCEL WITH 163+/- FEET OF FRONTAGE ALONG THE SHORES OF THE NORTH FORK OF THE FLAMBEAU RIVER IS READY FOR YOUR DREAM HOME . 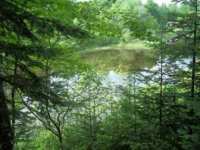 . .
BEAUTIFUL WOODED WATERFRONT 1.79+/- ACRE PARCEL ON THE FLAMBEAU RIVER WHERE YOU CAN BUILD THE CABIN OR HOME OF YOUR DREAMS! THIS SECLUDED PARCEL IS MINUTES FROM . 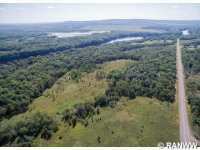 . .
(473) THIS 5.24+/- ACRE PARCEL HAS 300+/- FEET OF FRONTAGE ON THE SOUTHFORK OF THE FLAMBEAU RIVER. WOODY RD., EAST OF PARK FALLS, SERVES THE PROPERTY. THE NATIONAL . 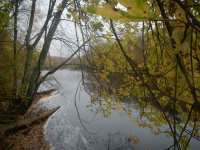 . .
(458) 1.24+/- ACRES AND 154+/- FEET OF FRONTAGE ON THE FLAMBEAU RIVER. 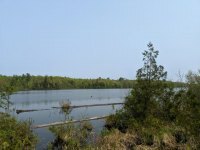 THIS LOT, LOCATED ON SAND COVE POINTE RD., NORTHEAST OF PARK FALLS OFFERS VERY EASY ACCESS TO THE . 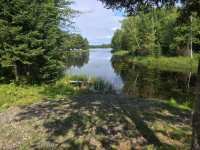 . .
BEAUTIFUL, LEVEL, WATERFRONT LOT ON THE LADYSMITH FLOWAGE! EXCELLENT LOCATION (THE LAST LOT ON THE ROAD) WITH 120 FEET OF PRISTINE FLAMBEAU FRONTAGE. CITY WATER AND . 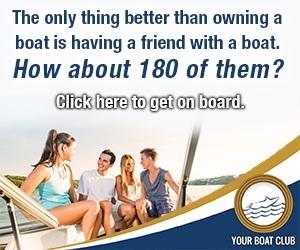 . .
(466) LET YOUR �UP NORTH� MEMORIES START HERE. 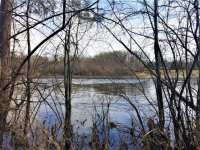 THIS WOODED 3.5+/- ACRE PARCEL HAS 345+/- FEET FRONTAGE ON THE SOUTHFORK OF THE FLAMBEAU RIVER. LOCATED JUST EAST OF . 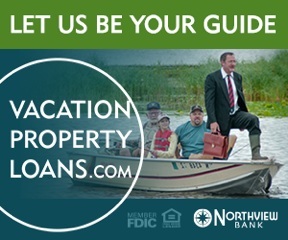 . .
(466) LET YOUR "UP NORTH" MEMORIES START HERE. 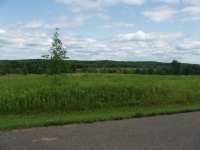 THIS WOODED 3.5+/- ACRE PARCEL HAS 345+/- FEET FRONTAGE ON THE SOUTHFORK OF THE FLAMBEAU RIVER. LOCATED JUST EAST OF . . .
(485) PRICED TO SELL! 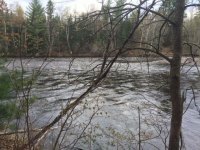 RIVER FRONTAGE LOT FACING THE WEST WITH 175+/- FEET FRONTAGE AND .88+/- ACRES SITUATED ON THE BEAUTIFUL NORTH FORK OF THE FLAMBEAU RIVER JUST 2+/- . . .
RIVERFRONT PARCEL IN LADYSMITH READY FOR YOUR CABIN OR HOME PRICED UNDER ASSESSED VALUE! 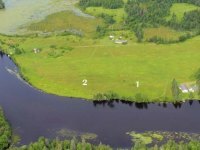 THIS 3.3 ACRE PARCEL WITH 190+/- FEET OF FRONTAGE ON THE FLAMBEAU RIVER IS . . .
WOODS AND WATER!! 179+/- FEET FRONTAGE ON THE NORTHFORK OF THE FLAMBEAU RIVER. A WELL DESIRED 2+ ACRE PARCEL, SITUATED ON THE RIVER BETWEEN PIXLEY AND CROWLEY DAMS . 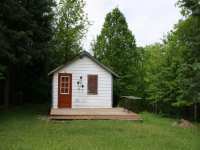 . .
A COZY 16 X 16 CABIN SITS ON 2.56 ACRES OFFERING A PICTURE POSTCARD SETTING WITH AWESOME VIEWS OF THE SOUTHFORK FLAMBEAU RIVER NEAR PARK FALLS. CANOE, KAYAK, FISHING, . 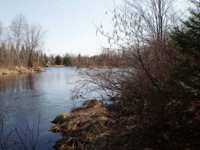 . .
1 ACRE LOT WITH APPROXIMATELY 200 FEET OF FRONTAGE ON THE FLAMBEAU RIVER SOUTH FORK. THERE IS ELECTRICITY, A SHED AND A TRAVEL TRAILER INCLUDED. SO, YOU CAN ENJOY THE . 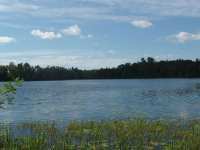 . .
(456) DEEDED ACCESS TO THE TURTLE FLAMBEAU FLOWAGE! THIS 1.2 +/- ACRE LOT ON COUNTY FF BETWEEN MERCER AND BUTTERNUT IS JUST WHAT YOU'VE BEEN WAITING FOR. A DRIVEWAY IS . 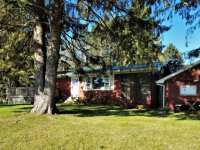 . .
(454) DEEDED ACCESS TO THE TURTLE FLAMBEAU FLOWAGE! THIS 1.2 +/- ACRE LOT ON COUNTY FF BETWEEN MERCER AND BUTTERNUT IS JUST WHAT YOU'VE BEEN WAITING FOR. A DRIVEWAY IS . 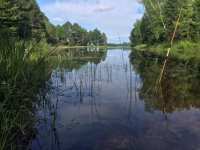 . .
(455) DEEDED ACCESS TO THE TURTLE FLAMBEAU FLOWAGE! THIS 1.2 +/- ACRE LOT ON COUNTY FF BETWEEN MERCER AND BUTTERNUT IS JUST WHAT YOU'VE BEEN WAITING FOR. A DRIVEWAY IS . 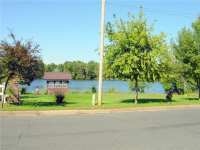 . .
(439)BEAUTIFUL NORTHWOOD'S WATERFRONT LOT! 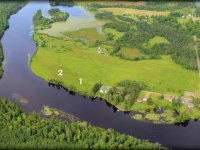 THIS 1.25+/- ACRE LOT HAS 125+/- FF ON THE FLAMBEAU RIVER. MAKE THIS LOT YOUR VACATION GET AWAY JUST 8 MILES EAST OF PARK . 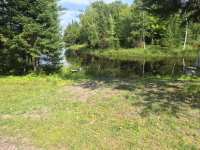 . .
(440)NORTHWOOD S WATERFRONT LOT! 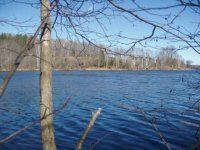 THIS .75+/- ACRE LOT HAS 108 FEET FRONTAGE ON THE FLAMBEAU RIVER, LOCATED JUST 8 MILES EAST OF PARK FALLS ON ASPEN LANE. YOUR VACATION . 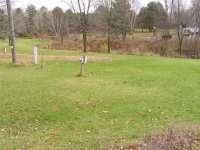 . .
(493) THIS 1.36+/- ACRE LOT HAS 100+/- FEET OF FRONTAGE ON THE SOUTHFORK OF THE FLAMBEAU RIVER. WOODY ROAD, EAST OF PARK FALLS, SERVES THE PROPERTY. THE NATIONAL FOREST . . .
(494) GREAT RECREATIONAL AREA! THIS LOT HAS 100+/- FEET FRONTAGE AND 1.46+/- ACRES. 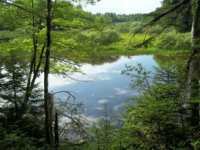 IT IS LOCATED ON WOODY ROAD AND ON THE SOUTHFORK OF THE FLAMBEAU RIVER, EAST OF PARK . . .
(494)GREAT RECREATIONAL AREA! THIS LOT HAS 100+/- FEET FRONTAGE AND 1.46+/- ACRES. 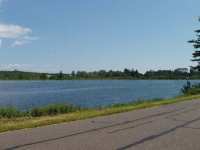 IT IS LOCATED ON WOODY ROAD AND ON THE SOUTHFORK OF THE FLAMBEAU RIVER, EAST OF PARK . 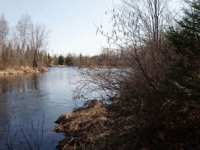 . .
(493)THIS 1.36+/- ACRE LOT HAS 100+/- FEET OF FRONTAGE ON THE SOUTHFORK OF THE FLAMBEAU RIVER. WOODY ROAD, EAST OF PARK FALLS, SERVES THE PROPERTY. THE NATIONAL FOREST . . .
(492)100+/- FEET FRONTAGE ON THE SOUTHFORK OF THE FLAMBEAU RIVER. THIS PARCEL OFFERS A ROOMY, WOODED BUILDING SITE, ELECTRICITY AND GREAT ACCESS. THE NATIONAL FOREST IS . 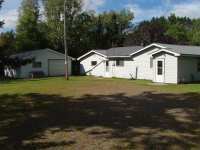 . .
(492) 100+/- FEET FRONTAGE ON THE SOUTHFORK OF THE FLAMBEAU RIVER. THIS PARCEL OFFERS A ROOMY, WOODED BUILDING SITE, ELECTRICITY AND GREAT ACCESS. THE NATIONAL FOREST IS . . .
38 Listings in Bruce WI ..
30 Listings in Butternut WI ..
3 Listings in Elk WI ..
29 Listings in Fifield WI ..
1 Listings in Georgetown WI ..
63 Listings in Holcombe WI ..
30 Listings in Ladysmith WI ..
11 Listings in Lake WI ..
1 Listings in Mecer WI ..
66 Listings in Park Falls WI ..
28 Listings in Parkfalls WI ..
88 Listings in Phillips WI ..
5 Listings in Sheldon WI ..
7 Listings in Tony WI ..